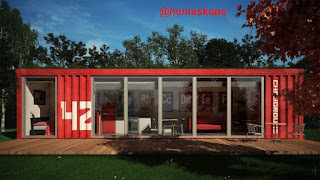 "The mission of Homeskape is to shelter the world in a sustainable cost effective manner"
The Homeskape history is colored. We were born with the ideology that homes prices are too expensive and investing in real estate should bring a bigger return than current market conditions. We think consumers deserve more bang for the buck. This way of thinking forces us to offer land at lower prices and think out-side of the box when it comes to designing living spaces, working spaces and places to play. Our team is accessible and ready to answer any questions you have in a friendly free consultation and exploratory call. Email Homeskape@gmail.com to schedule a call to discuss unlocking the potential in your real estate investment. Hômeskape™. Watermark theme. Powered by Blogger.